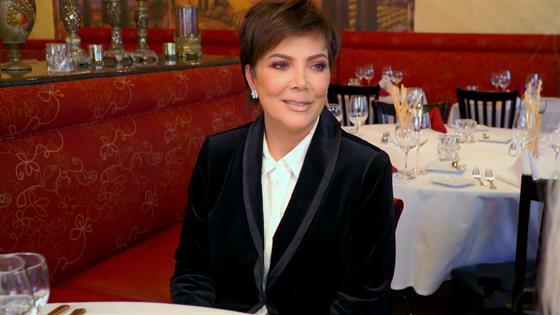 In this exclusive clip from Sunday's all-new Keeping Up With the Kardashians, the youngest Jenners grab lunch with mom Kris Jenner. However, this isn't any ordinary meal out as the Jenner girls reveal they're ready to take on more familial responsibility. Specifically, Kendall and Kylie inform Kris that she isn't alone when it comes to taking care of grandmother Mary Jo "MJ" Shannon. "I'm at lunch with mom and Kylie," the supermodel says to her grandmother on the phone. "I just wanted to call you and tell you that Kylie and I took my mom so she could relax and that if you need anything you can text me and Kylie, 'cause we're with her." This grown-up move by Kendall and Kylie clearly moves the famed momager as she's left speechless during the phone call. While Kris defends that she needs "to be on-call," Kendall informs the Kardashian-Jenner matriarch that she isn't alone in this. "So, Kylie and I have been talking," the runway maven further adds. "And, we decided that we will trade you MJ duties so that you can have more free time." Understandably, it's hard for Kris to relinquish control as she's been concerned about MJ's health. Per Kylie, she and Kendall hope this break will allow Kris to "think about herself for once." "I mean, I'm not gonna lie. It would be really great to have a little bit of support in that area," Kris comments. After her daughters agree to visit MJ more, Kris admits this break will let her "breathe for a minute."